Four years ago, a group of five Spanish photographers invited us to stay with them in a small town outside Madrid to teach a workshop. They said they would take care of everything and all we had to do was show up and teach. We had no idea what to expect, but we thought, "why not!" Victor and his friend Pedro picked us up from the airport, and despite the language barrier, we could tell immediately that we were in for a lot of fun. Over the next two days, we had one of the most rewarding teaching experiences of our careers and it was really difficult to say goodbye to this incredible group with whom we had had such a great time, but we knew we were leaving having acquired lifelong friends. Victor made it clear that this was not the last time that we would hang out together as he planned on proposing to his girlfriend Erika and he wanted us to be their wedding photographers. Victor was true to his word in more ways than one as he included us in every step of the process. He even sent us a photo of the ring before he popped the question, and a selfie of them as a newly engaged couple in Greece! Victor is one of our favorite working wedding photographers today, so I'll admit that the closer his and Erika's wedding got, the more nervous I started to get. However, as soon as we arrived to the small, abandoned town of Liguerre de Cinca, and we were greeted by Erika and Victor's warm, excited energy, we were just happy to be reunited with an old friend. And Erika was just as Victor had described her: kind, sweet, and beautiful, and we loved her immediately. Erika and Victor put much thought into how they wanted to celebrate their union. 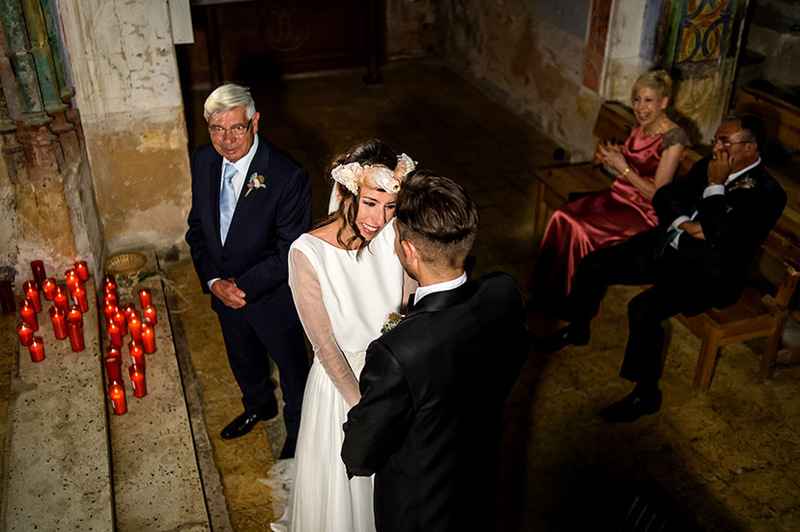 They settled on a typical European wedding, opting for a ceremony in a 14th century church, and complete with their favorite traditions like showering the bride and groom with rice as they exit the church, and dancing until the early morning. They planned surprises for each other: Victor gave Erika a ring she had been coveting, and Erika made an uncharacteristic move for her and declared her public love for Victor at the reception! What they did not expect however, was that other people had surprises in store for them too. There was an amazing little restored car to get to and from the church, and, my personal favorite, a hot air balloon ride and in the field across from the wedding venue. They danced until the early morning, in typical Spanish fashion, and we were in bed at 7am! Erika and Victor were excited, happy; they just enjoyed every minute of their wedding weekend, and this is exactly what makes a wedding a complete joy for us to document. We are so grateful to have been entrusted with documenting it all, and just for being invited along for the ride! Relationships. When it comes down to it, they are what wedding days are made of. At the core of this wedding, of course, was the relationship between Joriana and Jay, a young couple who built a strong foundation with the support of their close friends and family and in accordance with their faith. Each of their respective families played their part in raising two exceptional individuals who would find their perfect match in the other. Jay's relationship with his mother was so powerful, it actually made me sob when they shared their mother-son dance at the reception (in my defense, I had just given birth to my son a few months earlier!). Joriana, an only child, shares an unmistakable closeness with both of her parents, particularly her mother with whom she works as a wedding photographer. 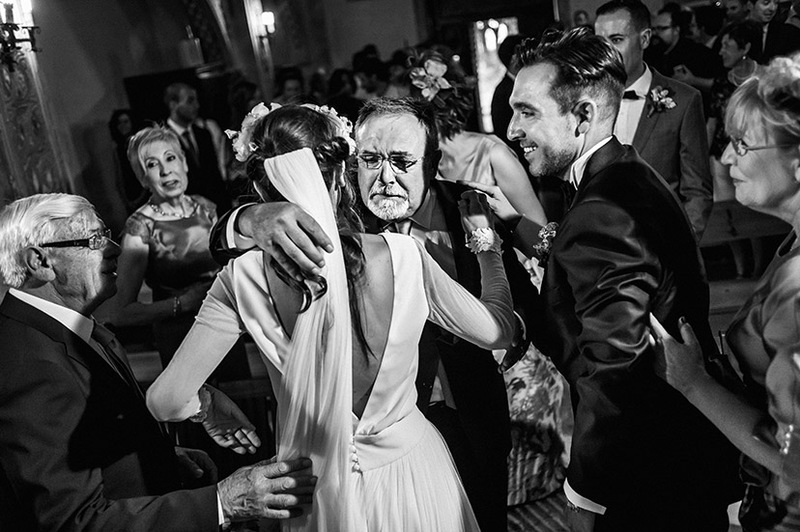 Her father's face when he saw her for the first time as a bride, and her mother's hug before heading off to the ceremony, were powerful manifestations of their bond. It was these moments, where the strength of all of these relationships were demonstrated, that we witnessed all throughout Joriana and Jay's wedding day. The expression "it takes a village" came to mind several times, especially when friends and family members shared stories of the couple's childhood and courtship. As wedding photographers themselves, it comes to no surprise that Joriana and her mom Mindy were exceptionally thorough as they planned this wedding! No detail was overlooked as they determined what they wanted this event to look like and feel like. They even selected extra long sparklers for the couple's exit so they would stay lit longer - an example of wedding photographers having the wedding photographers' back, no doubt! It was an honor and a privilege to witness and document the relationships that made this day, and this couple, come together. The love and respect shared throughout the crowd was extended to us, and we are so thankful for this. You can view our favorite images from the day, above.